The origins of Ireland’s seagoing naval service are closely tied to the founding of the state and our intricate relationship with the UK. 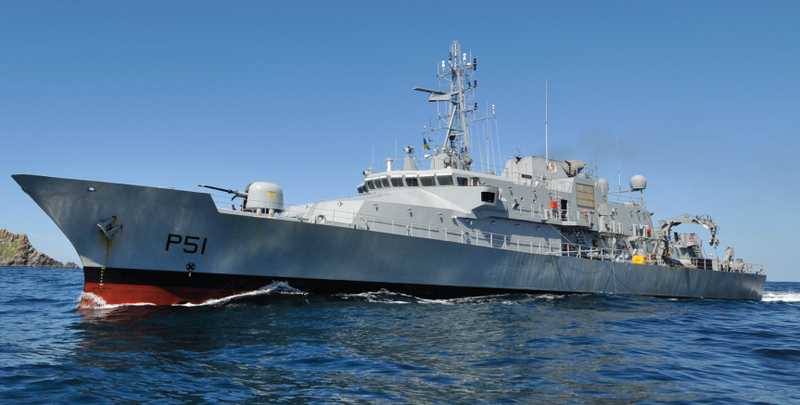 But once officially formed on 1st September 1946, and unbound by previous constraints, the Irish Naval Service has been able to grow steadily over 72 years into the modern and uniquely Irish force we see today – one that ably protects Ireland’s maritime interests at home and contributes willingly to humanitarian efforts worldwide. 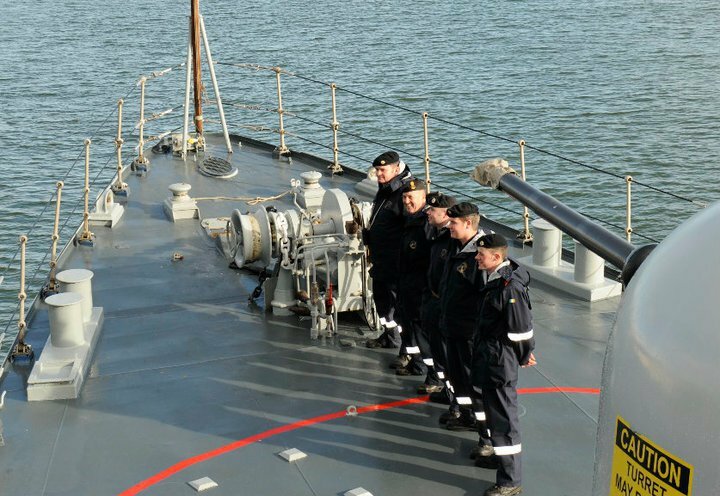 It was the Second World War that hurried along the pace and development of Ireland’s seagoing defences and led ultimately to the formation of the naval service as we now know it today. But it took a while to get there. 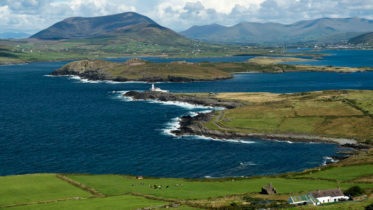 Not permitted to have a navy under the terms of the treaty that established the Irish free state in 1921, Ireland would be effectively defenceless at sea for almost two decades. The patrol vessel Muirchu (formally the Helga, infamously involved with the shelling of Dublin city during the Rising) given over to the Free state in 1923 was all we had. And so for almost 24 years, it would patrol the three miles of coastal territory surrounding the whole island essentially alone. It wasn’t until the late 1930’s that Ireland’s coastal defence became a real priority as foreign naval activity started to ratchet up and things began to change quickly. Certainly the British must have noticed the developments. In 1936 the state was given permission by the Admiralty to arm ships to aid with her patrols. The newly built steam trawler Fort Rannoch now joined the ageing Murichu patrolling. In July of that same year, the Royal Navy withdrew from Cork and handed over control of the ports that they had retained as part of the 1921 Treaty agreement. 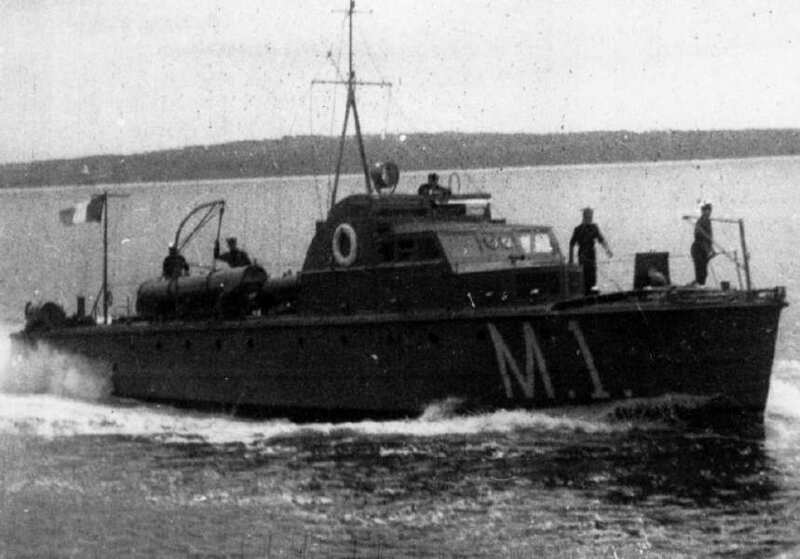 By early 1939 Ireland was now looking to grow its coastal force and two motor torpedo boats were ordered from the UK. 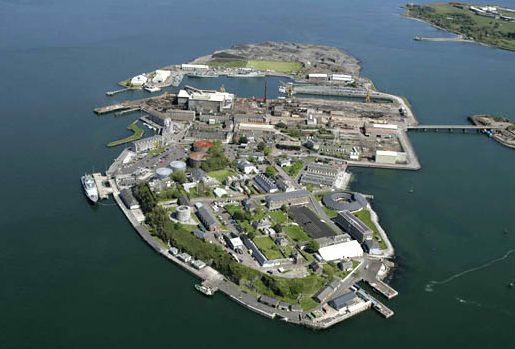 It was also around this time that the Marine and Coastwatching Service was established and the recently returned naval base at Haulbowline was reactivated to act as a headquarters for this new service. All of this was just in time for the outbreak of World War 2 on September of 1939. Ireland choose to remain neutral during the war and was now fully responsible for the defence of its own ports and territorial waters. The absence of an official navy was a serious issue; having only the two armed fishery protection vessels as deterrents was less than ideal; but over the war period the number of vessels the Marine service had increased to 10; it comprised six motor torpedo boats, two inshore patrol vessels, one mine layer and one sail training vessel. Even still, by the end of the war, it was clear that Ireland would continue to need a naval force but that the current Marine Service would not be sufficient. And so it was disbanded in 1946. A real navy was required. 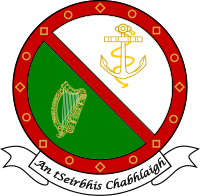 It was in September 1946 when the modern Irish Naval Service was formed. Naturally enough it was based at the Haulbowline in Cork and this newly formed naval service would require new ships as well. 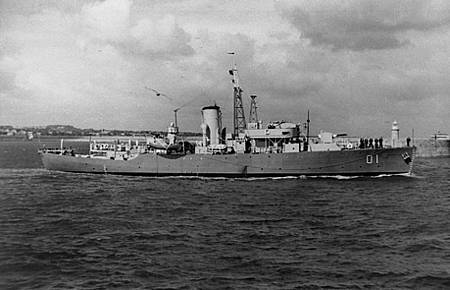 Three flower class Corvettes were purchased from the UK; these would become the backbone of the Naval Service for several decades and this is also when the tradition for naming ships after figures from Celtic mythology began. These first three ships were LÉ Macha, LÉ Cliona and LÉ Maeve which served up until 1970. When they reached the end of their service, they were replaced by three coastal minesweepers – LÉ Grainne, LÉ Banba and LÉ Fola. The service continued to grow and in the 1970’s there was a considerable drive towards modernisation. 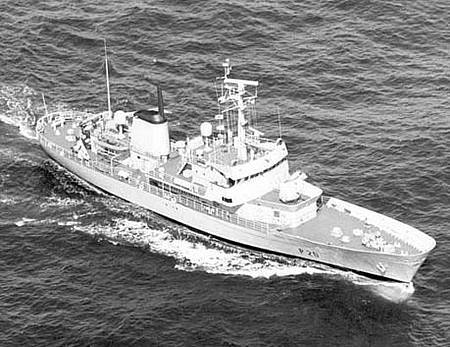 In 1972 they commissioned LÉ Deirdre, the first naval vessel purpose-built in Ireland. An important addition to the fleet because in 1976 the economic exclusion zone around Ireland was increased from 12 to 200 miles, a hugely expanded area to patrol. 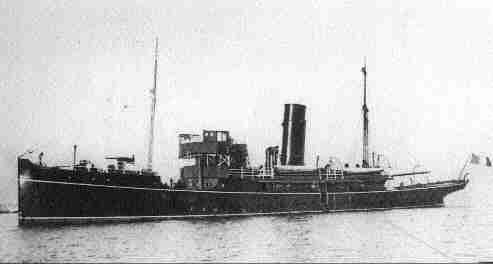 And so new ships were added to the fleet, partly funded by the European Community which Ireland had just joined. LÉ Setanta (A15), LÉ Ferdia (A16), LÉ Emer (P21) and LÉ Aoife (P22) would all join the fleet in the 1970’s. 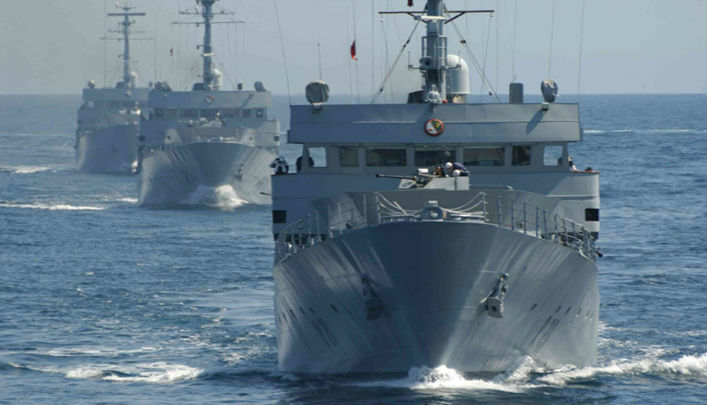 They were mostly Offshore patrol vessels, vital to monitor Ireland’s new maritime territory. 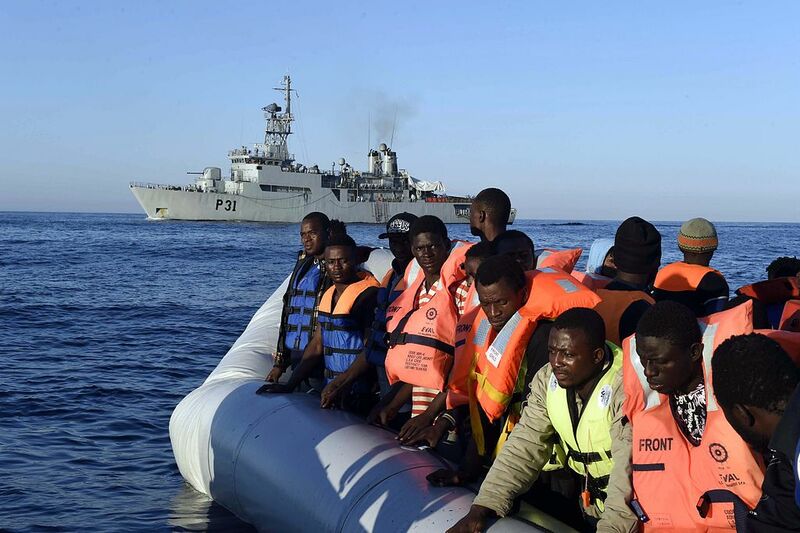 Today the Irish Naval Service is a well equipped, rapid reacting force in a world that requires exactly that. Protection of fisheries is still a hugely important part of the services remit, along with interception of drug traffickers and other criminal activity. Humanitarian engagement is also an increasingly important part of the job. The naval service currently operates a fleet of 7 large modern ships. 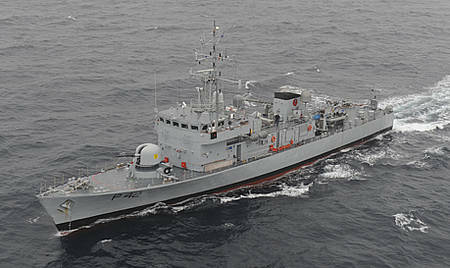 The latest addition to the Irish Naval Service fleet, LÉ William Butler Yeats (P63). 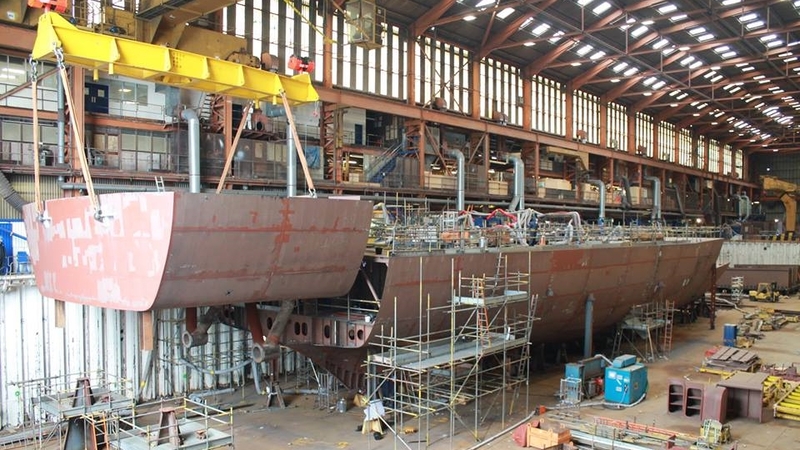 The new addition to the Irish Naval Service Fleet will be named after the acclaimed Irish playwright George Bernard Shaw. 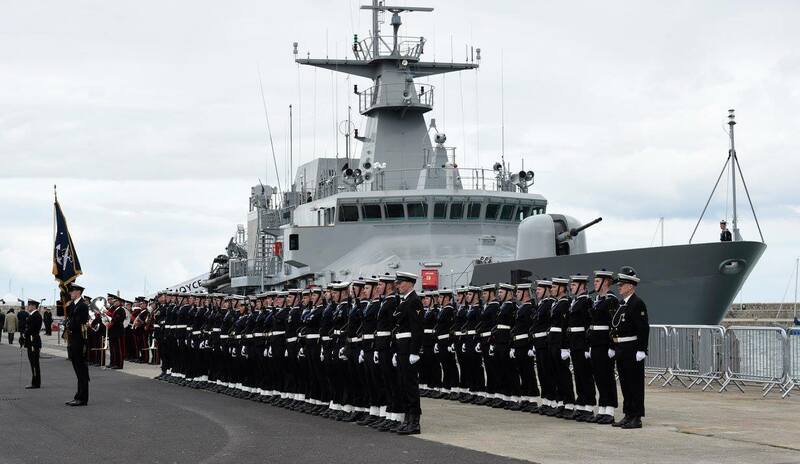 Over the last 72 years the Irish Naval Service has grown from small beginnings into a vital and important part of both Ireland’s security and its identity – consistently and regularly standing out as a source of pride for every Irish person.